This item can be used in conjunction with other items on the home front during World War II. In particular, it can be used to provide students with an understanding of the impact of the building of a defense plant on a community. 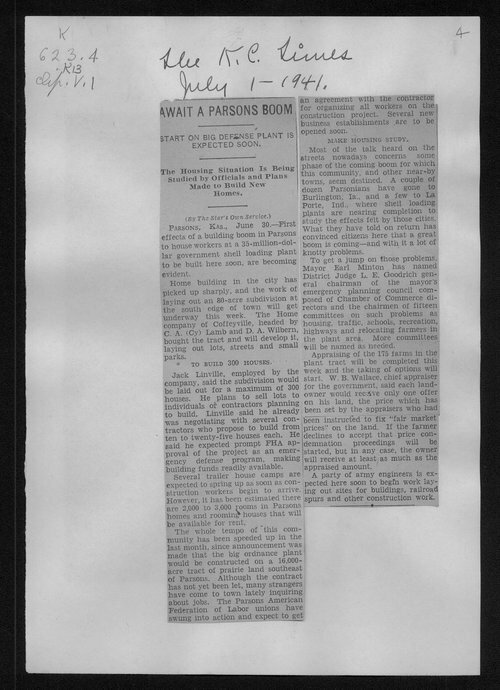 Call Number: Newspaper Clippings, Kansas Ordinance Plants, Parsons, K623.4, K13, Clipp., V.1, p. 1-78.